Low APR rates for purchase, balance transfer, cash advance. Low cash advance and balance transfer fees. 0% APR in 7 months for balance transfers and purchases. 1% cashback rate is not that good. It is below average. You will need to pay foreign transaction fees for your each purchases. 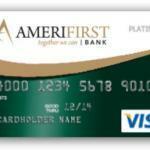 AmeriFirst Cash Back Platinum Visa Card is providing 1% cash back for every purchases. There is 7 months introductory 0% APR for the card and $35 annual fee. 3% cash advance and balance transfer fee rates are very good. 13.75% APR is also excellent when you compare it with other platinum cards. Rewards rate of the card is below average. You will need to pay 2 percent more for every foreign transactions with this card. You can check rates of the card below and you can also read user reviews. 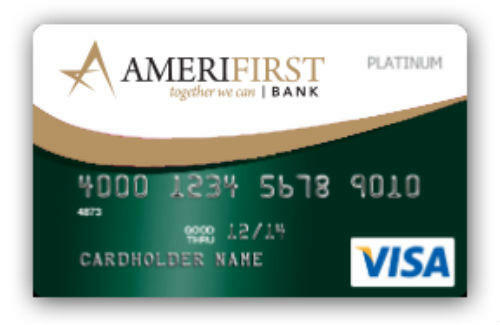 You can read some users reviews of Amerifirst Cash Back Platinum Visa Card below.